This classically styled charcoal gray shirt features two smaller front panels. One panel is pink and the other is light gray. 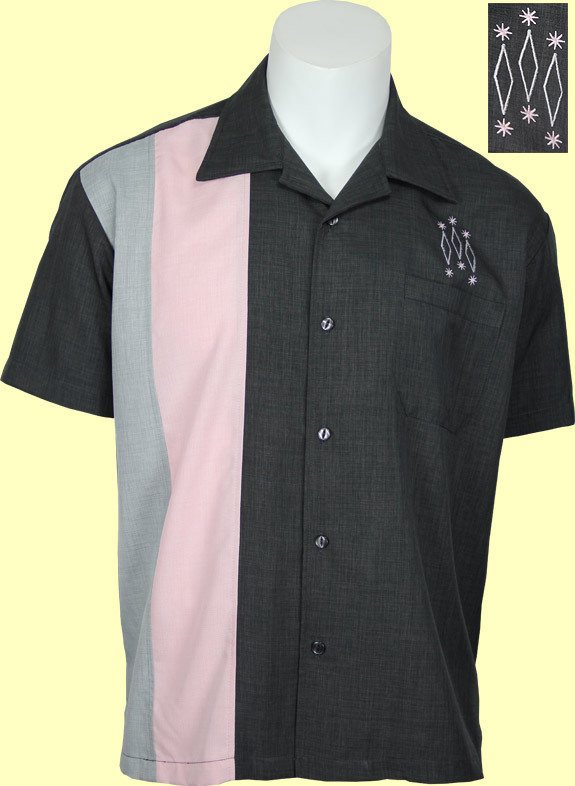 The shirt also features a front chest pocket and vintage inspired starburst and diamonds embroidery. The fabric is a textured polyester. It certainly doesn't look or feel like any polyester that you have seen or felt before.